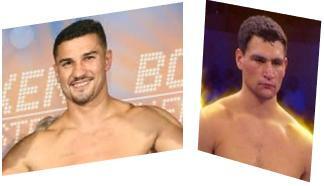 Sauerland won yesterday´s purse bids in Rome with a bid for 122,414 EUR for the right to promote Aleksander Alekseev vs Enad Licina with the vacant EBU cruiserweight title at stake. When and where will be announced shortly. Alekseev, from Russia and an outstanding amateur, is now with EC Box Promotion but began his career with Universum and seemed like a can´t miss prospect but lost to Victor Ramirez in 2009 and Denis Lebedev in 2010. Now with EC Alekseev have began rebuilding his career and gets a fine chance to move forward against Licina, who began his pro career with Spotlight Boxing and later joined Sauerland but finished second best in fights against Yoan Pablo Hernandez and Steve Cunningham. He was mandatory challenger for Alexander Frenkel, who relinquished the EBU title and now Enad face an even tougher challenge in Alekseev.